There’s no right way, or even the wrong way to play EVE Online. No one can stop you from going in solo, mining for resources, doing missions, fighting pirates, manufacturing, transporting cargo, etc. If you want to play the game like this, that’s completely fine. Some players find it interesting, and some extremely mind numbing. Conflict with other players over territories, resources and even their philosophy and identity is when things really start cooking. The game has become exciting and fun because the players have learned how to be more efficient in stuff they do. For example, there’s a squabble between two players. Now, they can do it the old fashioned way and solve the problem 1 versus 1. But what happens when one player calls up a friend and the friend comes out to help? Or when the other player, seeing this, calls his 10 buddies, and they all show up? Both sides continue to one-up each other, until there’s a massive-scale spaceship war. When the players team up, they will often form a corporation. The leader of the corporation is the CEO. Now, being the CEO in EVE Online is much like it is in real life. You need to be a leader, the players in your corporation depend on you. You have to deal with issues by yourself, provide strategies for what you want to achieve in-game, etc. 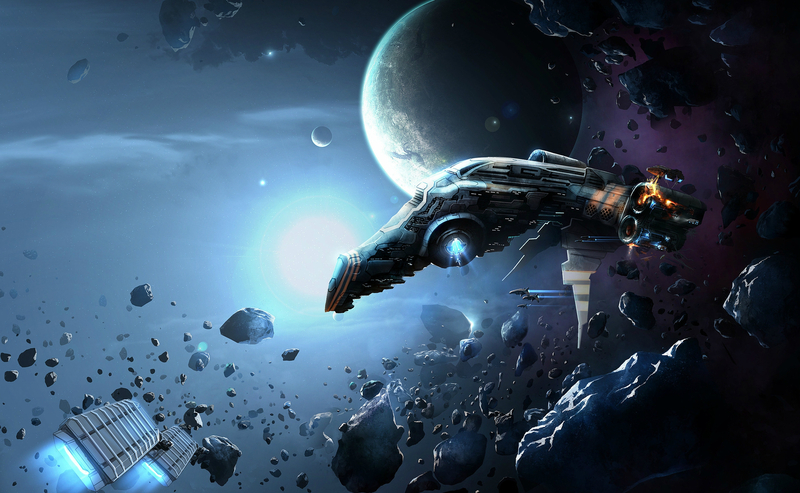 EVE Online is one of the most social games today. You have MMORPGs where players don’t even have to write a single word in the chat and they can have everything they need (I’m looking at you, World of Warcraft). What’s so great about EVE is that every single major accomplishment requires efforts of a number of people. You can’t solo everything, you need to communicate with other players, and eventually make friends and allies. The game forces you to work together, which fosters a sense of teamwork and community. And isn’t that what gaming is all about?